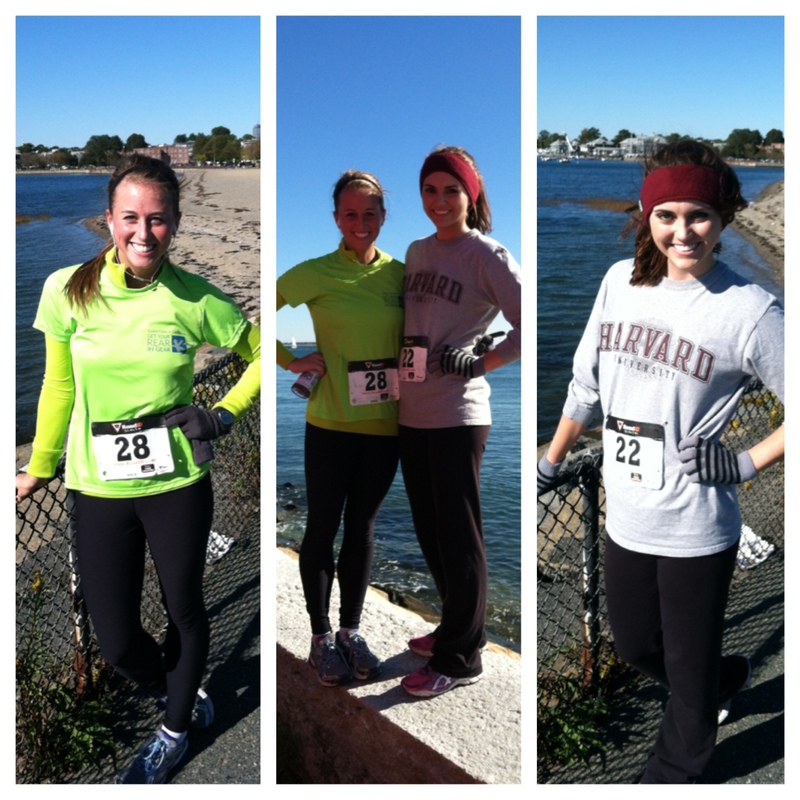 Fit for Success: "Get Your Rear In Gear 5k"- Raising Awareness for Colon Cancer! 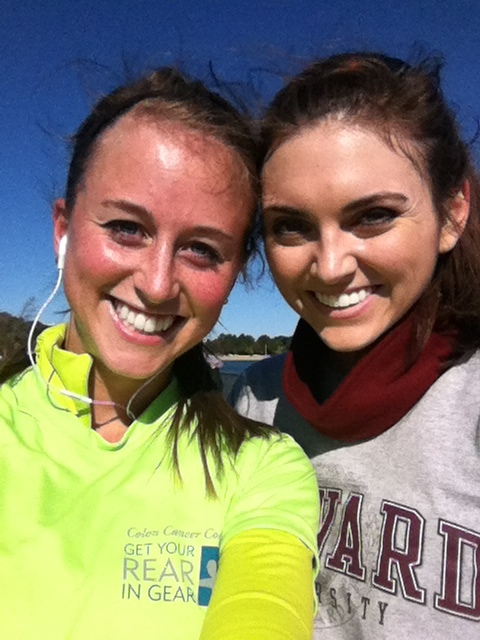 "Get Your Rear In Gear 5k"- Raising Awareness for Colon Cancer! 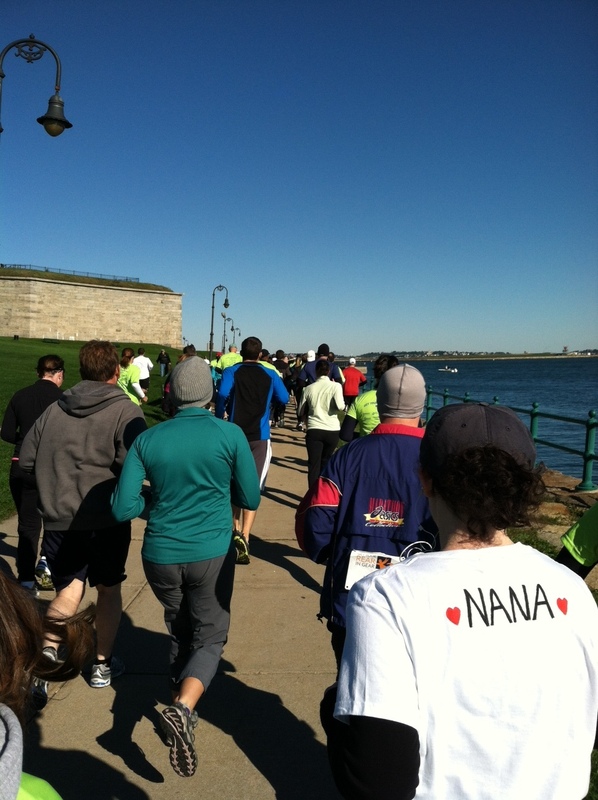 Today I ran the Get Your Rear In Gear 5k at the beautiful Castle Island in Southie! It was awesome that it was so close to my house- I was still able to have a lazy Saturday sleep-in before I rolled out of bed to run! 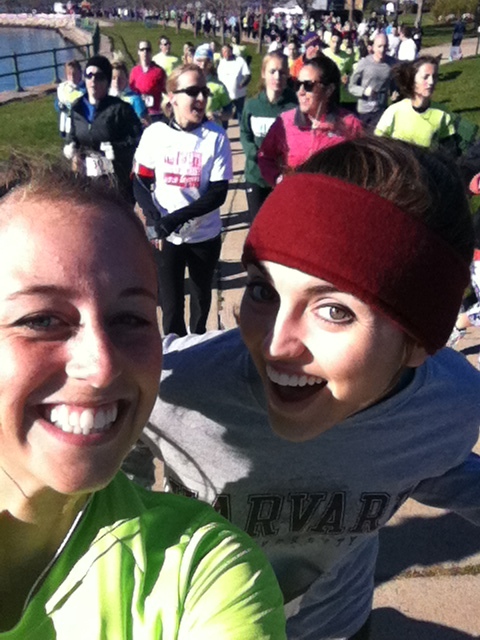 This race was extra exciting because I got to run with my best friend Miss Boston- Kelsey Beck! Two of her friends have parents battling colon cancer and I know a few friends fighting it so this was a perfect cause and reason to be active. We got to the race JUST in time. The National Anthem was ending, I was still putting my bib on, and the gun was off! We quickly hopped in line and had to start our "hellos" and catching up as we started the race... this made the race FLY by! Although we were totally out-of-breath from talking, we had so much fun. There was such a great turn out for this event. Like I said, we were running this for all the people we know fighting colon cancer, and to see such a great turnout was truly inspiring. It is incredible how many people were showing their support for colon cancer. 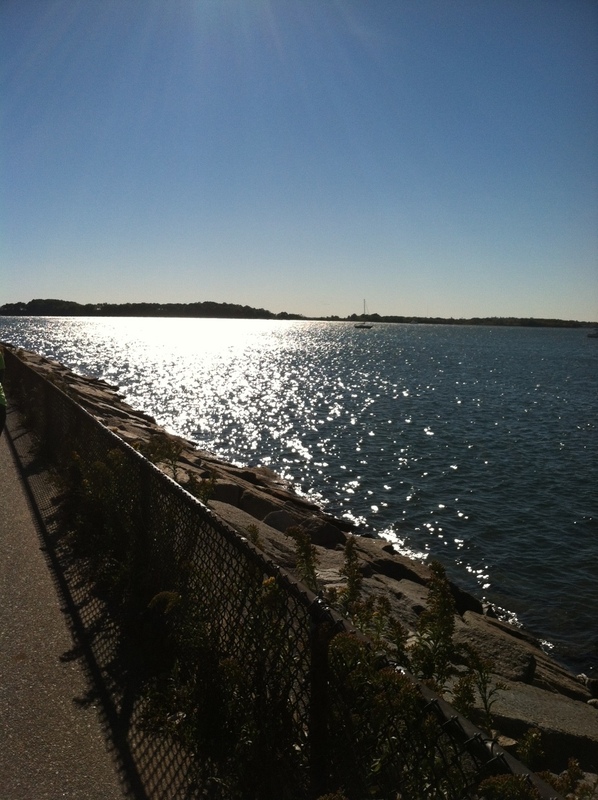 could Castle Island be more amazing? 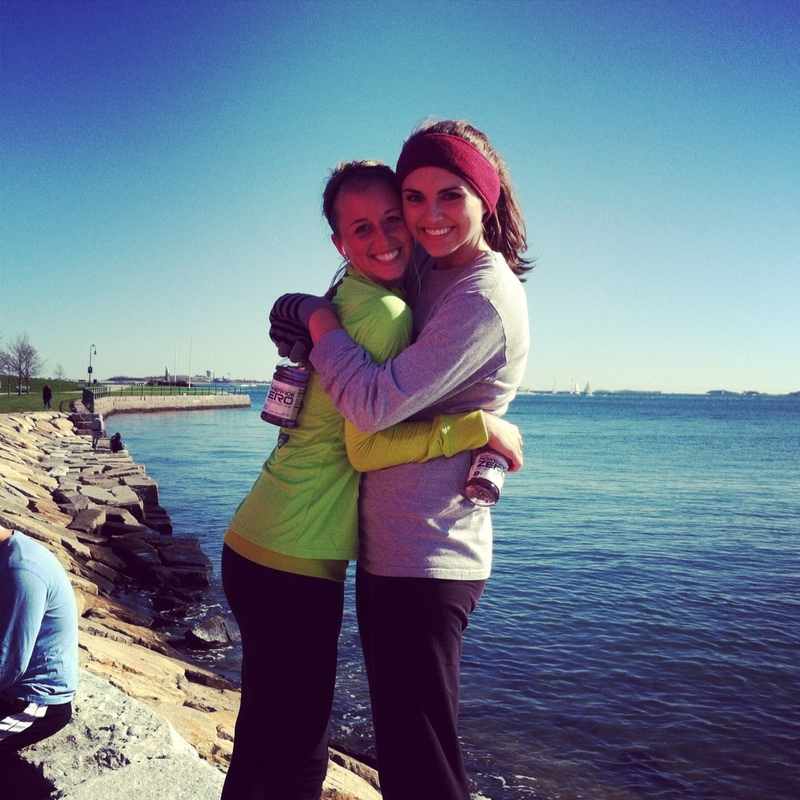 Kelsey and I helped to push each other through the race (have you read my blog posts about HOW MUCH I love a running buddy?) 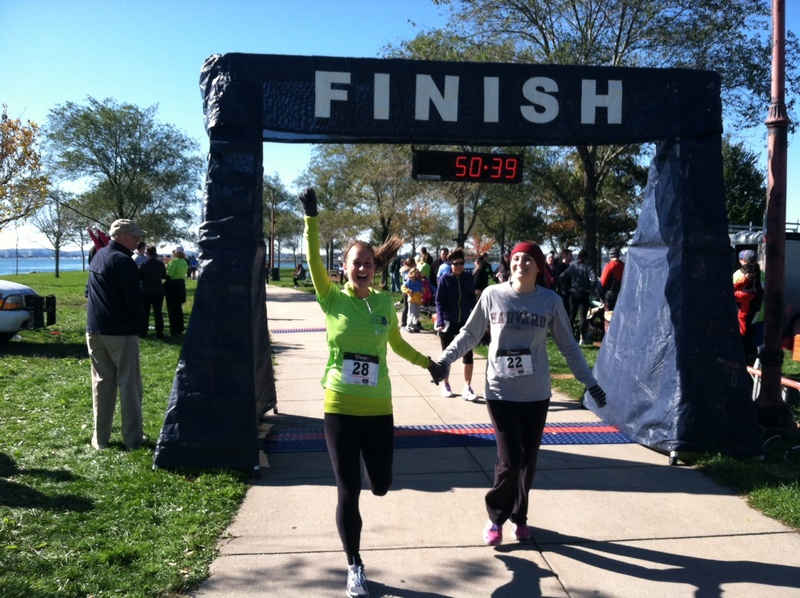 and before we knew it, we were crossing the finish line! The best part about races is that you get to see friends, socialize, AND get your workout over with WHILE supporting a great cause. And I've told you another great perk about races- the free goodies. 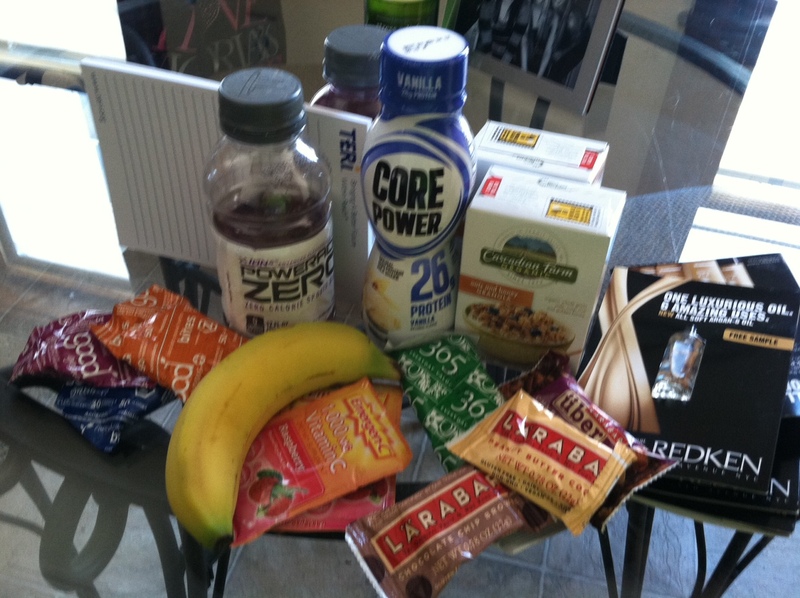 Thank you to ALL of the sponsors at Get Your Rear In Gear for filling up my college cabinets with post-run fuel! 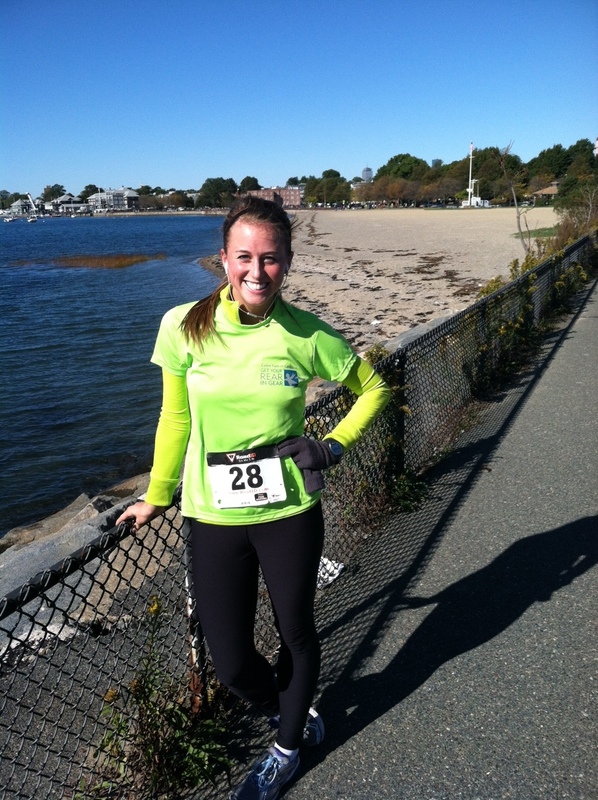 The race was so much fun and totally inspired me to combine a little of my nursing-knowledge for this blog to make people aware of colon cancer and ways to potentially prevent it. Colorectal cancer is a cancer of the large intestine and occurs when cells start growing and dividing into abnormal cells that don't die on their own. These abnormal cells can grow into polyps, which if left untreated, can become cancerous. While some cancers are inevitable, we can still change our lifestyles to hopefully increase our lifespan and chance of disease! -Watch your intake of red meat!! Limit yourself to about 2 portions per week and aim for lean cuts. The high fat and salt content may contribute to colon cancer. -Make sure you are getting all of your vitamins and minerals!! Increase your intake of fruits and vegetables- yum! -Exercise! Get moving! Obesity contributes to colon cancer. -Don't binge drink. Try to cut back on the amount of alcohol you consume. -Get screened! Colonoscopy testing should start at age 50! -Don't smoke!!! (and avoid a million other cancers but quitting!). -Motivate your loved ones to become healthier and provide them with support for their colonoscopy. These health measures not only prevent colon cancer, but could help prevent high blood pressure, coronary artery disease, and heart attacks! Kill two birds with one stone (or many birds for that matter) by adapting to a more nutritious lifestyle- you will feel so much better inside & out! 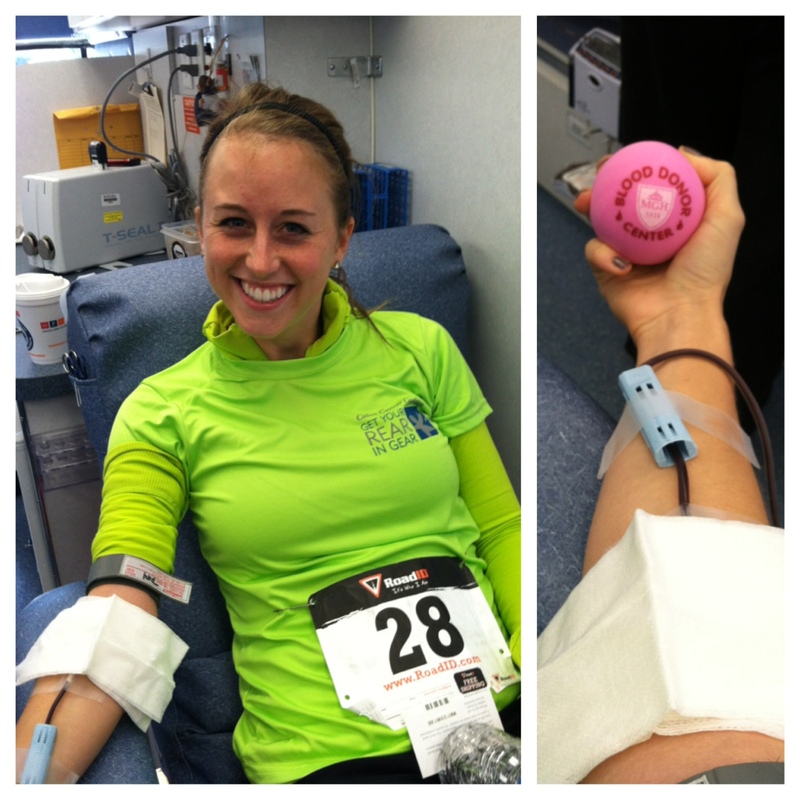 This day was just SO inspiring that I passed a bloodmobile on my way to get coffee after the race... I decided it couldn't be more appropriate to give blood today and hopefully save a life! So that is exactly what I did. Giving blood is the easiest, most pain-free and simple way to save a life! Plus, you get to eat cookies after... who would object to that???? all smiles watching blood drain from me :) haha! Thanks for reading! Lets raise awareness for colon cancer!